Chinese scientists are researching a new type of aerospace vehicle that will take even those who have never had training to space in about 10 years' time at a much lower cost compared to the current price. China Central Television (CCTV) reported Monday that scientists from China Aerospace Science and Technology Corporation have started work on a new vehicle integrating different kinds of engine technologies. The vehicle will integrate air-breathing engines, such as turbine and ramjet engines, and rocket engine, which would allow it to operate as a normal plane in the atmosphere and as a rocket in space. Researchers said the new vehicle will be reusable and take off and land at normal airports, without the need for special launch pads like the current rockets require, which will reduce cost substantially. Zhang Yong, a scientist from the corporation, said they expect to master key technologies in about three to five years, and significantly improve the vehicle's capability during the application. 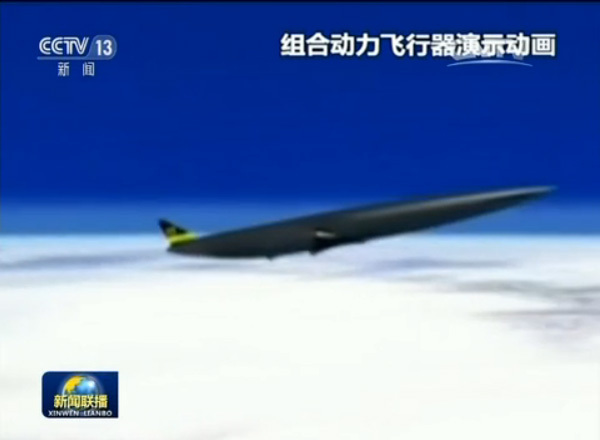 The vehicle is expected to be used for suborbital flight and orbital insertion by 2030, Zhang said. The expeditions will be between dozens to hundreds of kilometers from the earth.